On January 12th, Eisabeth will join Rambert Dance Company’s Playground together with dancer Michelle Buckley to start working on new choreographic ideas. 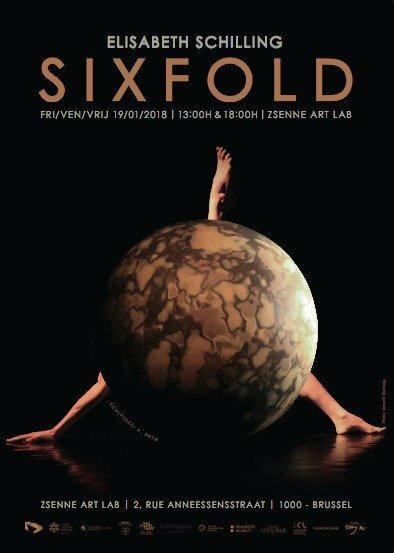 SIXFOLD will be performed at Zsenne Art Lab (www.zsenne.be) in Brussels on January 19th at 1 as well as 6pm. Elisabeth is starting the new year with a residency at Zsenne Art Lab (www.zsenne.be) in Brussels. She will start a research with visual artist and designer Mélanie Planchard and will also show the work SIXFOLD there on January 19th at 1 as well as 6pm.